Imagine your guests jumping in laughter and excitement as they become the stars of the show, marvelling at impossible predictions and having their secret thoughts revealed. Witness spoons bending through the apparent power of the mind, thoughts transferred by way of telepathy and freely chosen drawings duplicated while under triple blindfolds. It’s an incredible program that will leave you laughing and mystified. Involving and interactive, this entertainment is suited for any group and is easily adaptable to either full stage presentations or intimate cocktail parties. Relax, knowing that your guests are in the hands of the best in magical entertainment. Mysterion is a natural at connecting with his audience and breaking down the barrier of the stage, creating a hospitable environment that invites participation and fun. His ability to improvise and creatively mould the endless possibilities of his craft enables him to make each show a truly unique experience. 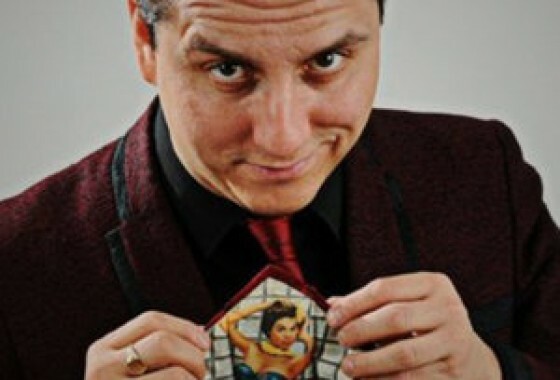 Mysterion has been performing magic for a decade for one reason: his love of sharing his ability to make you wonder. He is a favourite with corporate audiences at company parties and has been featured on over 100 national television programs, including appearances on Showcase, City TV, Global News, ZNS Bahamas, YTV and CTV. His year-long run on 103.9FM also makes him the only recurring radio mentalist in the country. Mysterion has got what you need to make your J Stixx Live event one to remember!. Mysterion, Canada’s most recognized psychological entertainer, has been blowing minds for years and is ready to take your event to the next level. © 2019 J Stixx Live Entertainment: Toronto’s Best Musicians and Entertainers.